Playing card games can be seen from various perspectives, one of them being to make your pupils learn much easier math while playing math cards games. 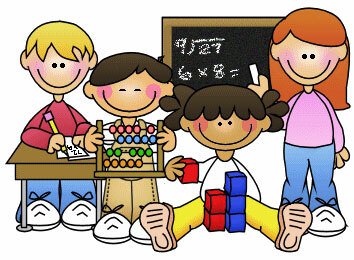 With this article you will be presented with some creative ideas on how to make math be perceived in a fun way. One idea would be to use your computer in making your own cards, and a way to do this is to make use of data base and spreadsheets as valuable tools in creating these cards. In this way you will be able to have these things at your hand and print them whenever is needed. You might as well buy a digital downloadable product and use it whenever convenient. Do not omit the possibility of using computer tools that are available and in case you still need some guidance do not hesitate to look for the right one. More than this, you should gather various cards sets available on popular commercial games. You have various alternatives, choosing from either the traditional pack of cards or popular cards printed with colors and numbers. If you want to be more creative in this respect, you should adjust the already printed ones in the way you find more convenient, such as putting single digit numbers or replacing the graphic with something that supports much easier your purpose of teaching kids mathematical rules and combinations. What is important here is to think in perspective, foreseeing the next moves you are about to make in the classrooms with your pupils. Another idea would be to invent rules of playing these card games that will make pupils be more receptive and more logic-thinking with the answers. Once coming with these rules, be they invented or already pertaining to the game, make sure that pupils have correctly understood them as in this way they would be able to give the correct answer. It shouldn't be that hard, if you consider that many kids have played cards at some moment with their family, so your task won't be that difficult to achieve. One last piece of advice: if you come up with your math card game try to make it look with one of the most popular card games that kids usually play and are fan of. In this way you can keep their attention focused on the rules, let alone the mathematical exercising. Keeping the math game simple and also with a little bit of challenge (appropriate to kids' age) you can reach the desired results on the mathematic hours. Do not eliminate the fun factor from the game, otherwise you might risk to loose their attention, but also do not overreact with the fun as you can risk to have them focusing on an adjacent object and miss things of 'mathematical' importance.